[White Paper] Issues Affecting FQHCs: What will it take for Federally Qualified Health Centers to survive in today’s healthcare physician recruiting climate? Physician vacancies are affecting the majority of health centers across the country. This paper examines some of the recruitment and retention challenges that Federally Qualified Health Centers are facing and how to overcome them. Feel free to download and share. 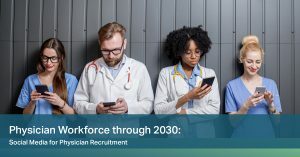 What will it take for Federally Qualified Health Centers to survive in today’s healthcare physician recruiting climate? A vast majority of all health centers are reporting a clinical and physician vacancy. Over the years, health centers have evolved to provide much more than primary care services in their community, but we are entering a critical time, and the shortage of physicians and clinicians overall is set to make a massive impact in the world of Community Health. This paper examines some of the challenges that centers are facing today regarding recruitment and retention. 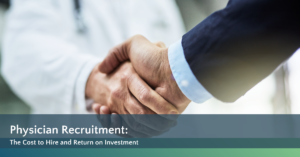 Staffing shortages and difficulty in attracting physicians are overcome through a proactive and strategic approach to recruitment. Today, two of the top challenges are the shrinking candidate supply and changing compensation trends. Neither of these issues are insurmountable, but they are a driving force in changing the community and rural health center model. You can save and read the rest of this white paper by clicking the download button below.